Successful teams thrive on communication, and at Allshore, our teams are organized specifically to facilitate this. While there can be setbacks to a two manager system, it allows for instant, specialized, and thorough communication, no matter what is happening. In order to reach the highest levels of success, we have two managers for every client: a Client Success Manager and a Technical Success Manager. Client Success Managers, or CSMs, make up a critical point of the triangle, and are the team's non-technical support in the U.S. Our CSMs are there to handle customer support, human resources, and facilitate organization. Trust is key in a remote relationship, and CSMs are the stewards of our clients’ trust. They're constantly monitoring communication to ensure that everyone has what they need, and there are no miscommunications for tasks or expectations. Part of this includes ensuring that your developers send you detailed task updates every hour. You'll know exactly what they're working on, their progress, and estimated time until completion. CSMs are trained to handle possible language barriers or general miscommunications. Whether it’s explaining colloquial phrases or organizing meetings so that everyone has their questions answered, your CSM is there to keep the team on the same page. Client Success Managers also make your job simple. Allshore's goal is to make outsourcing as easy for you as possible, and your CSM is the crux of this. One of their major responsibilities is handling human resources for you. Salaries, health insurance, equipment, and other everyday expenses are handled internally by our company, leaving you to focus on your business. If your developer is sick or needs time off for a family event, your CSM will handle all the coordination, so you only have to review final requests. You'll be notified immediately of any emergency time off, and make up time will be coordinated for you so the project doesn’t lose valuable coding time. Your developer's time is logged in an itemized and dated list, which is checked daily by CSMs for accuracy and detail. When we send you an invoice, you'll be able to view exactly how much time your developer worked on a particular project or task, the date it was worked on, and the amount of money charged for the work. Additionally, any questions or concerns about the business relationship can be directed to your CSM as your U.S. based company lesion. If you have questions about billing, developer training, adding a new developer resource, or contracts, your CSM can give you answers, or put you in touch with other departments. Technical Success Managers, or TSMs, are an important aspect of success, even if your project manager is technical themselves. Help for developers, expert advice, and quality checks all come from our TSMs. Code quality is our highest priority; our Technical Success Managers are dedicated to consistent and clean code. With regular code quality checks for all of their teams, TSMs ensure that you're getting the best possible product. They also confirm that developers are doing frequent and complete backups so that your code stays safe and secure. If your developer hits a stumbling block on a task, their TSM is the first line of defense in the quest for perfection. Developers can get help for quick issues, or have longer exploratory meetings with their TSM where complex coding problems are solved in a cooperative, educational way. Because of their daily interaction with their teams, and frequent code checks, your TSM is also able to find areas of improvement for your developers. Whether it's learning a new skill for your latest project, or brushing up on the details of an in-use framework, your TSM is in charge of keeping everyone as up to date as possible. If you're needing help deciding on any technical aspect of your project, your TSM is there to walk you through it. Our TSMs have extensive experience in their fields, and can help you choose the right direction for your website or software. Additionally, if you’re in a sudden pinch, or a developer is out of the office, your Technical Success Manager can step in to help code at critical moments. 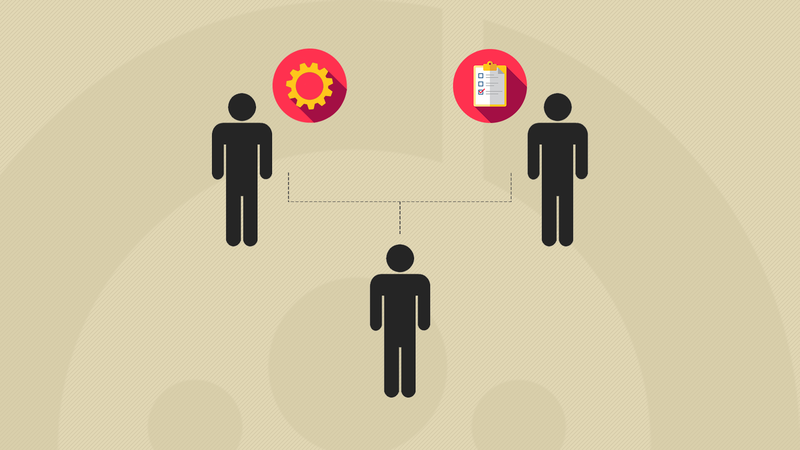 A dual manager team means cooperation, communication, and counterbalanced responsibilities. Instead of a single manager who can easily become overwhelmed by the details of working with a team, two managers allow for constant attention to your team, in exactly the areas they need. Interested in working with us for your latest project? Get a 10-day free trial with one of our highly skilled software developers!